Medieval queens are the stereotypical image of which most people think when they think about queens in general. With her gold crown and veil, she looks the part of royalty. There are many occasions on which women like to dress up as Medieval queens, including Halloween, Renaissance fairs and even school projects. 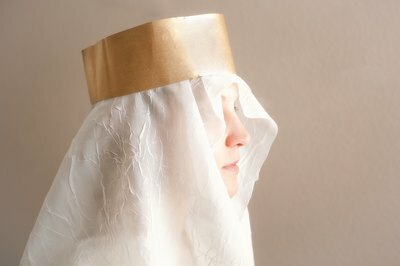 While a Medieval queen costume can be hard to find in stores, it is easy to make a homemade Medieval queen costume. 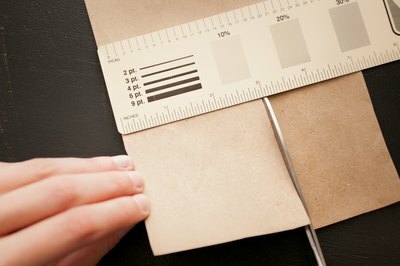 Cut out a piece of cardboard that is 3 inches wide and long enough to wrap around your head plus 1 inch. Hot glue the short ends of the cardboard together to form a circlet (or crown). Spray paint the crown gold. 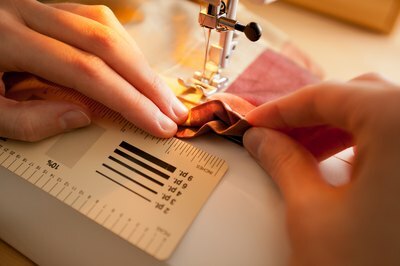 Cut out a rectangular piece of chiffon fabric that is 36 inches long and 24 inches wide. This will form the veil that will be worn underneath the crown. Fold over the edges of the veil 1/2 inch and sew the folds in place, tucking under the raw edge of the fabric as you sew. 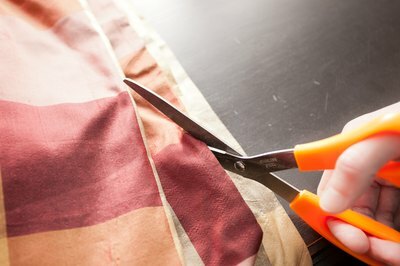 Cut out a piece of taffeta that is 45 inches long and 36 inches wide. 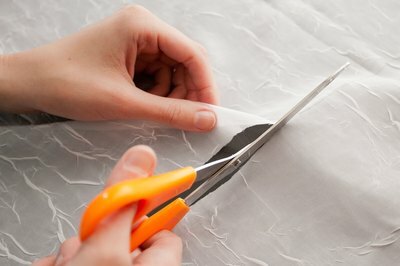 Fold the fabric in half (right sides together), bringing the two shorter edges together. This will become the skirt. 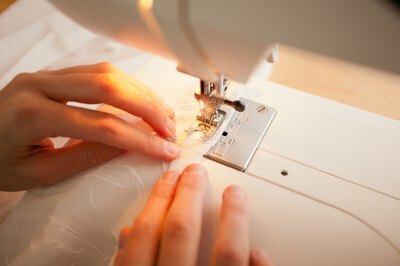 Sew the two shorter edges together, forming a tube of fabric. Fold over one of the raw edges of the fabric tube 1/2 inch and sew the fold in place, tucking the raw edge of the fabric under as you sew. Fold over the remaining raw edge of the fabric 3/4 inch and sew the fold down, tucking under the raw edge of the fabric as you sew. Leave a 1-inch opening in the seam. 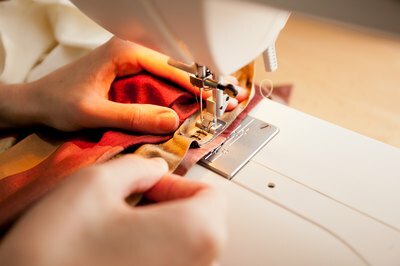 Cut a piece of elastic that is just long enough to wrap around your waist and thread it through the waistband of the skirt, gathering the fabric as needed. 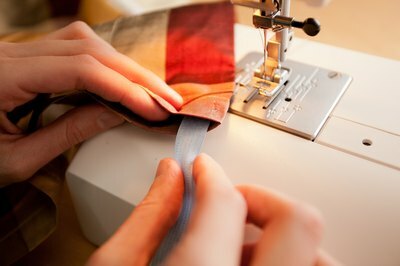 Sew the two ends of the elastic together and sew the opening in the waistband closed. Pair the skirt with a white long sleeved shirt.